Glenn Ridge is the former host of National Nine Network’s “Sale of The Century” – a role he held for 11 years. Over this period he expanded his own production company – Q Media Productions. He now does a number of documentaries and hosts the “Car Show” on Channel 9. Glenn is an outstanding speaker and MC. Q Media’s activities include production of television and corporate documentaries, event management and general media consultancy and training. Glenn is in high demand as an mc/host and public speaker on the national corporate circuit. Raised in Adelaide, after leaving school he studied and worked as an engineering draftsman for the South Australian Housing Trust for 5 years. At 22, he enrolled in the 5KA Radio School, and 9 months later left the public service and started his media career as an announcer at Bendigo’s 3CV. In just 10 months he progressed from the night shift to breakfast and mornings, and took on the role of Studio and Program Manager, positions he also held at 3TR Traralgon and 3BO Bendigo where he remained until 1985. Glenn first became involved in television in 1980, when he joined TV8 (now Southern Cross Broadcasting) in Central Victoria as the Host and Producer of a weekly one hour music video show titled “Breezin”. 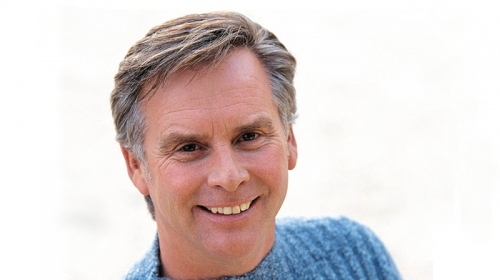 In 1985 he left both his radio career and commitments at TV8 to further his television pursuits with full time employment at BTV6 Ballarat (now WIN TV). “¢ Over 200 programs of ‘Six’s Super Saturday Show’ – a weekly 3 hour cartoon video show, aired live. “¢ Over 200 programs of ‘Off The Record’, a 90 minute music video show, aired live and following Six’s Super Saturday Show. “¢ Over 175 programs of ‘Kids Only’, a weekly 30 minute children’s magazine show, aired live. “¢ 12 half hour ‘Kids Only’ specials on subjects including ‘Life Education Centre’, ‘Tall Ships’, ‘The Grampians’ and ‘Bushfires’ (awarded a Certificate of High Commendation by the CFA in 1989). In 1986, one of the ‘Kids Only’ specials based on ‘Summer Safety’ won a Logie award for the ‘Most Outstanding Contribution by a Regional Television Station’. This was the first and only Logie to have been won by BTV6. 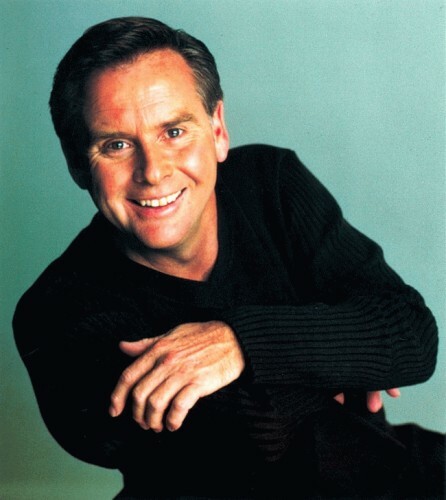 In both 1986 and 1987, Glenn was awarded a Certificate of Commendation by the Television Society of Australia at the Penguin Awards, and in 1988 The National Jaycees announced him as one of their Most Outstanding Young Australians. In 1989 Glenn left BTV6 and regional television in general, to further develop the independent activities of Q Media Productions. However, late in 1989 he ventured into the hospitality business by joining a mate to purchase and manage ‘The Mediterranean’, one of Mildura’s long established hotel/motel/restaurant complex’s. Then in April 1991, in what many saw as a surprise announcement, Glenn joined Jo Bailey as the new hosts of the Nine Networks prime time quiz show ‘Sale of the Century’, taking over from Tony Barber and Alyce Platt. He held this role for 11 years which made him the longest serving host of “Sale”. Since its inception, Glenn and Q Media Productions has fully funded and produced seven documentaries. Q Media Productions also produced and marketed the following one hour television programs which were aired on the Nine Network. A trained scuba diving instructor, his hobbies include golf, tennis, riding motor bikes, sky diving and heading off 4 wheel driving expeditions all over our great, vast country. He also has a keen interest in motor racing and regularly competes in off-road races including the Targa Tasmania.